just in time for fall weather. the smell is fabulous! i have an apple tree, so time to pick and bake. Preheat oven to 350 degrees, grease two 8-9-inch pans. In small bowl, combine puree, milk , eggs, vanilla until well blended. In bowl of electric mixer, add flour, sugar, baking powder and salt and mix to combine, add butter. Mix until resembling crumbs. Add wet ingredients and beat on medium until evenly combined. Divide the batter evenly among the pans and smooth tops. Bake for 25-30 minutes or until a toothpick inserted in the center comes out clean. Let cool in pan for about 10 minutes and turn out onto wire racks. Let cakes cool completely. For the frosting. Cream together the butter, syrup and vanilla, Slowly add in the confectioners sugar. When it starts to get thick mix in the milk until desired consistancy is reached. To Serve. place bottom cake layer on a serving plate and top with a thin layer of frosting and a jam center, then top with other cake layer. smooth frosting over sides and pipe desired decoration onto top with jam and strawberries. I love the name of this cake! Only in the South will you find a cake called “Pig Pickin’ Cake” and only in the South will you find folks that know what “Pig Pickin'” means to begin with! 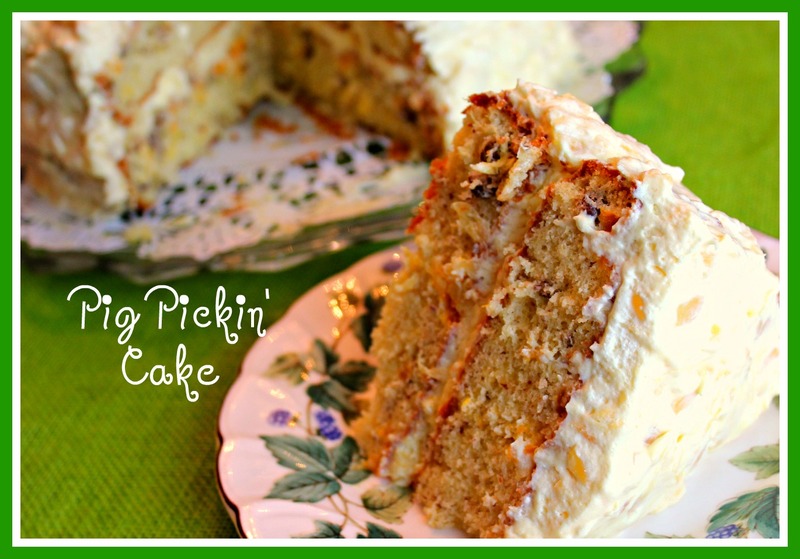 I have seen this recipe on various food sites and such and sometimes even if they get the name right, they still don’t know why it’s called “Pig Pickin’ Cake”. I have seen a few attribute the name to how people ‘pig out’ when they get a taste of the cake or that they make pigs out of themselves over it. So, for those of you who are wondering about the name, a ‘pig pickin’ is a pig roast or when a whole pig is barbequed for a bunch of people. The guests all usually bring side dishes and desserts and that sort of thing and this cake became very popular as a perfect cool ending to such a meal. Most think it gained popularity back in the seventies or around that time. It seems like so many of the good recipes came about back in the seventies for some reason. -Dump 2 large cans(regular size not those mini ones) mandarin oranges into a yellow cake mix with one egg and 1/4 cup of oil. Bake temp per box. -one tub of Cool Whip mixed with one box of vanilla pudding and one can of crushed pineapple drained… Mix together.. Spread on cooled cake and keep refrigerated. Yummo! 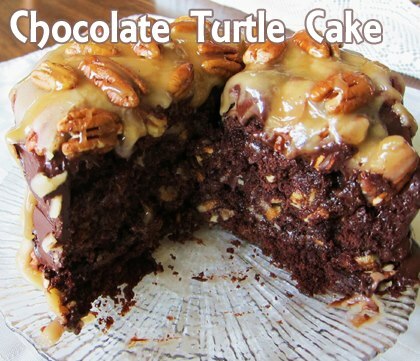 Chocolate cake with a gooey caramel, pecan filling. 1. Prepare the cheesecake layer: Preheat oven to 325 degrees F. Place a large roasting pan on the lower third rack of the oven. Place a kettle of water on the stove to boil. Spray a 9-inch springform pan with nonstick spray and line the bottom with a round of parchment paper. Wrap a double layer of foil around the bottom and up the sides of the pan (you want to seal it so the water from the water bath doesn’t seep into the pan). In a large bowl, use an electric mixer to mix the cream cheese- blend until it is nice and smooth and creamy. Mix in sugar and salt and blend for 2 minutes, scraping down sides of the bowl as needed. Add eggs, one at a time, blending after each addition. Finally, mix in sour cream, whipping cream and vanilla. Mix until smooth. Pour the batter into the prepared pan. Set the pan into the roasting pan in the pre-heated oven. Carefully pour the hot water from your kettle into the roasting pan (it will fill the pan surrounding the cheesecake). Pour enough water so that there is about an inch of water coming up the foil along the sides of the cheesecake pan. Bake the cheesecake for 45 minutes. It should be set to the touch and not jiggly. Remove the cheesecake from the roasting pan and let it cool on a wire rack for at least an hour. When it has cooled, place the pan into the freezer and let the cheesecake freeze completely. This can be done in several hours- or overnight. 3. Prepare the frosting: In a large bowl, using an electric mixer on medium-high speed, beat powdered sugar, cream cheese, butter and vanilla until it is smooth and creamy (do not over beat). 5. 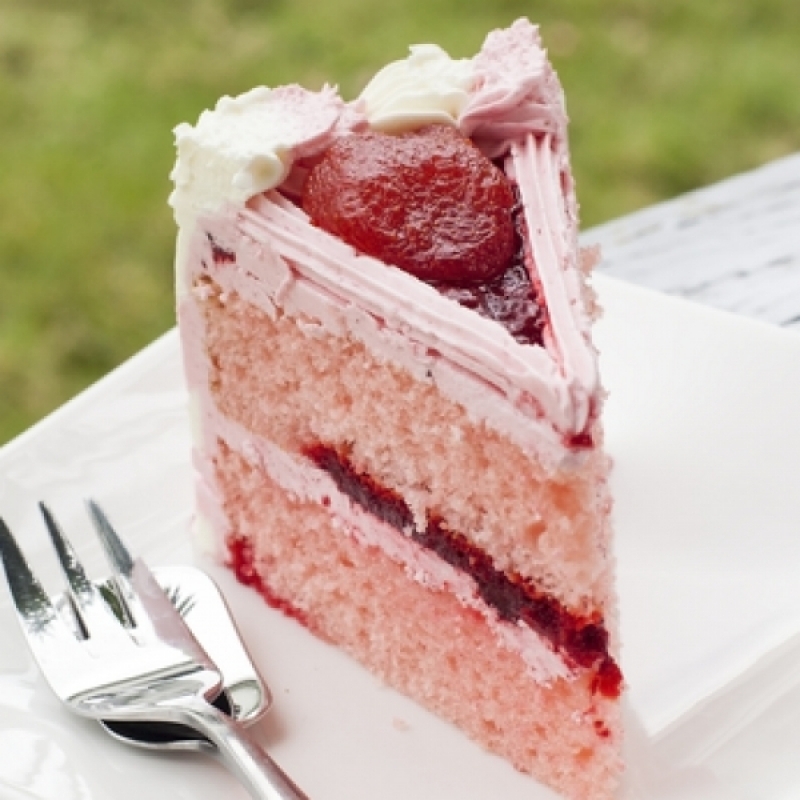 Frost the cake: Apply a crumb coat layer to the cake- use a long, thin spatula to cover the cake completely with a thin and even layer of frosting. Be sure to wipe off your spatula each time you are about to dip it back into the bowl to get more frosting (this way you won’t be transferring any red crumbs into the bowl of frosting). Don’t worry at this point about the crumbs being visible in the frosting on the cake. 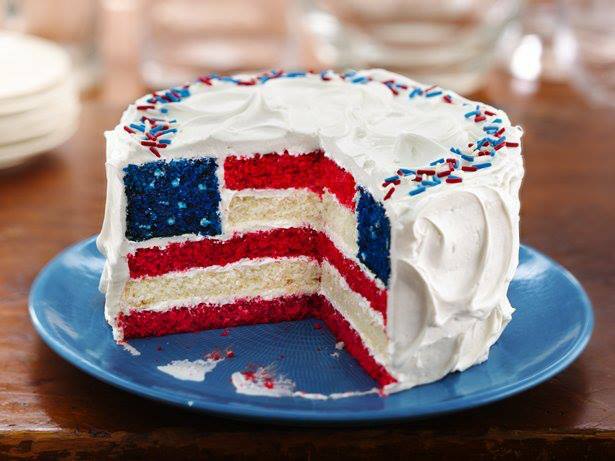 When your cake has a thin layer of frosting all over it, place it into the refrigerator for 30 minutes to “set” the frosting. Once the first layer of frosting is set, apply the 2nd layer. Start by adding a large scoop of frosting onto the top of the cake. Use a long, thin spatula to spread the frosting evenly across the top and then spread it down the sides of the cake too. 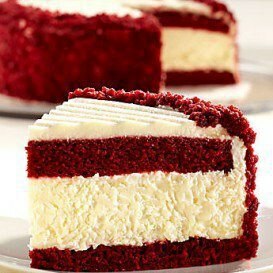 Because you applied a crumb-coat layer, you shouldn’t have any red crumbs floating around in the final frosting layer. Decorate, as desired. I recommend white chocolate shavings ). Keep this cake refrigerated.